Renegade Racing Lubricants are specifically designed to lubricate competition engines which run alcohol or higher octane fuels. ?THE OIL OF CHAMPIONS!" 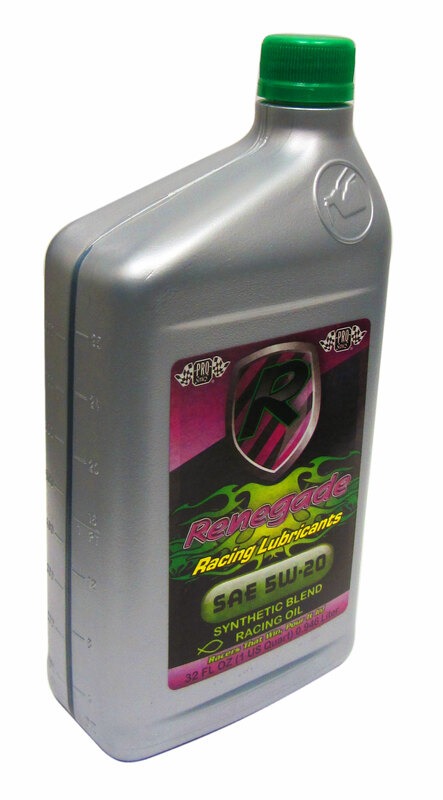 Renegade Racing Lubricants Pro Series® SAE is formulated with ZDDP additive, tough detergent-dispersant package, naturally high viscosity index base oils, excellent oxidation, advanced anti-foam system, high performance protection that provides winning results. ?Not suitable for engines with catalytic converters." Excellent oil for any 4 cycle engine. Great for clones or late models. More Zinc than any other oil.